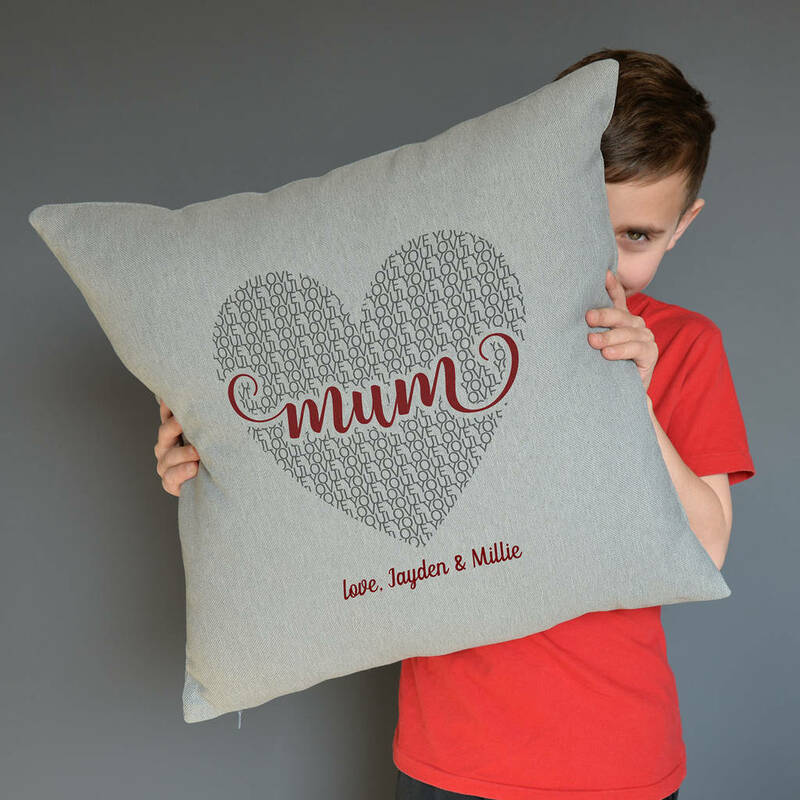 Show mum how much you love her with this personalised love heart cushion. 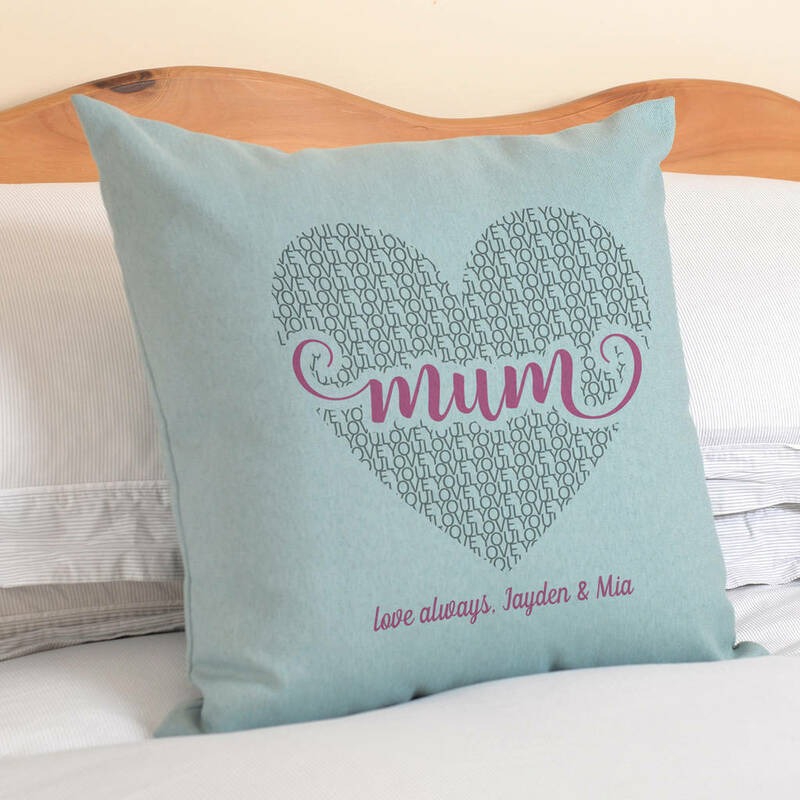 A great gift for her birthday or for Mother's Day. 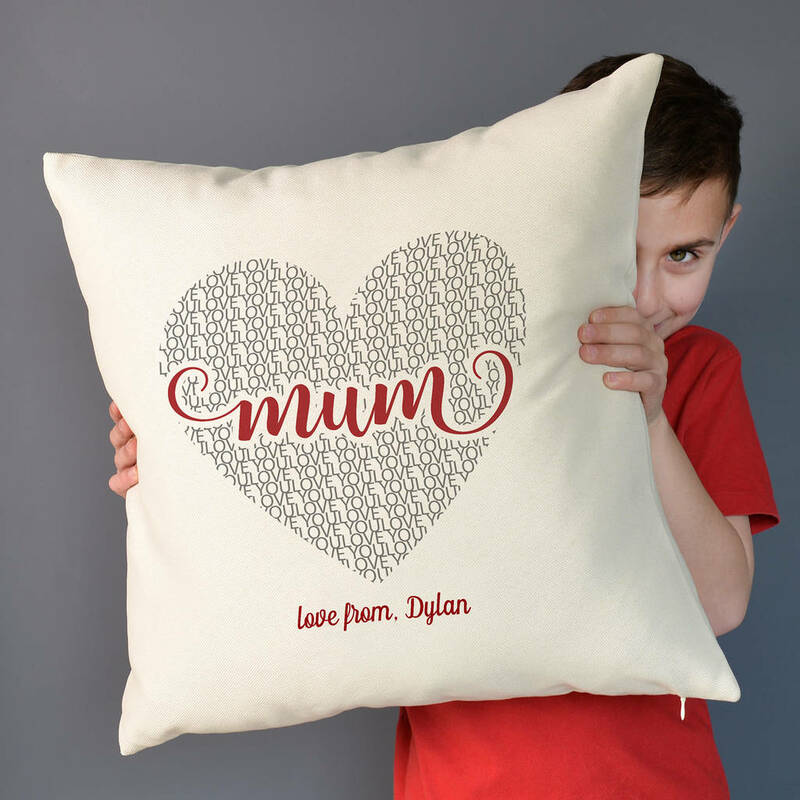 The word "love" fills the heart shape, with the word "mum" across the middle. 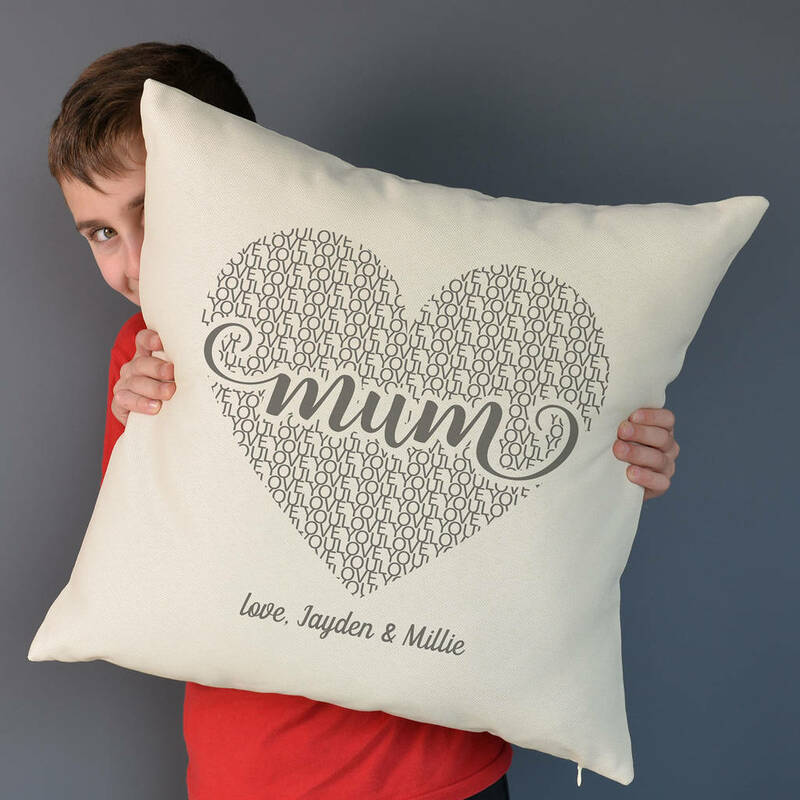 You are then welcome to add your own personal line of text under the heart, for example "love, Jayden & Millie". 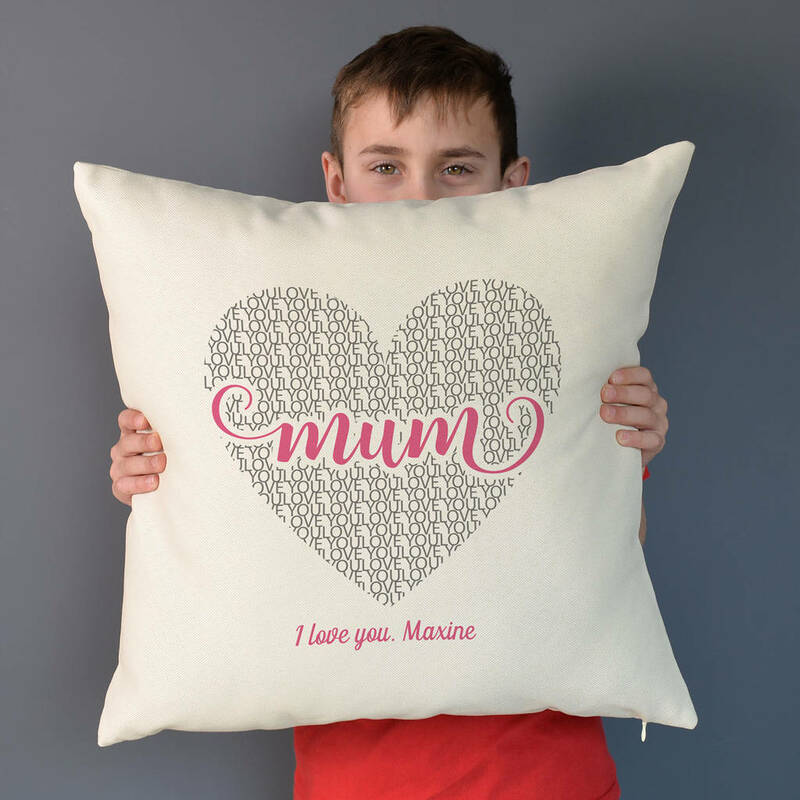 The cushion cover is removable via a zip, and is machine washable. Please refer to the care instruction label within the cushion cover (please wash with similar colours). 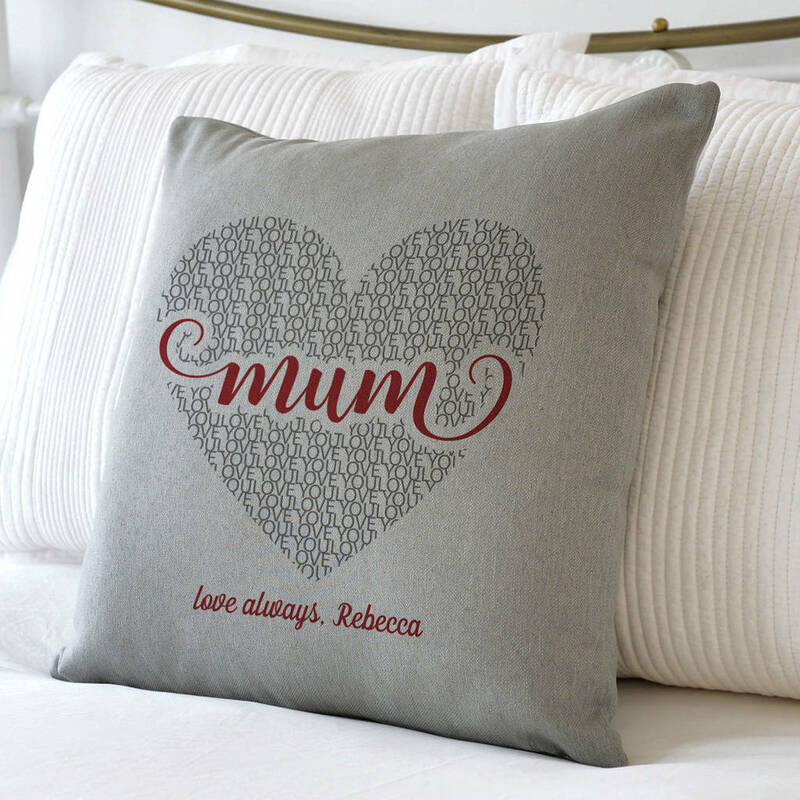 The cushion comes in cream or grey with a choice of text colour. The design is on one side only. If your text contains letters with accents or text that is not English please ensure that you type the text exactly as you would like it to appear, we will use your text EXACTLY as you have provided it. 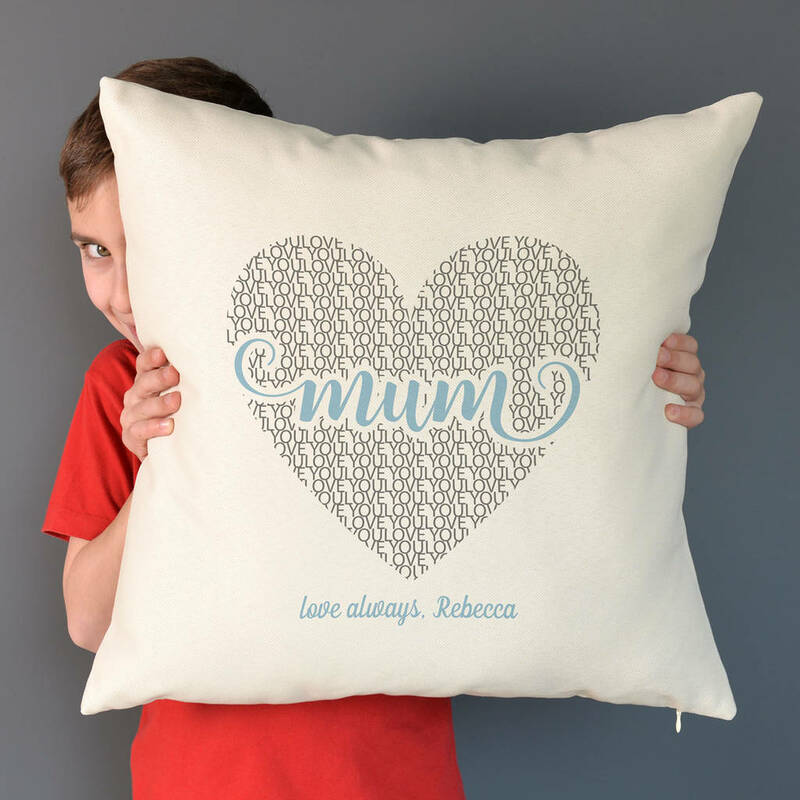 This high quality, plump cushion is made from polyester and is very soft to the touch.